The Master Lock No. 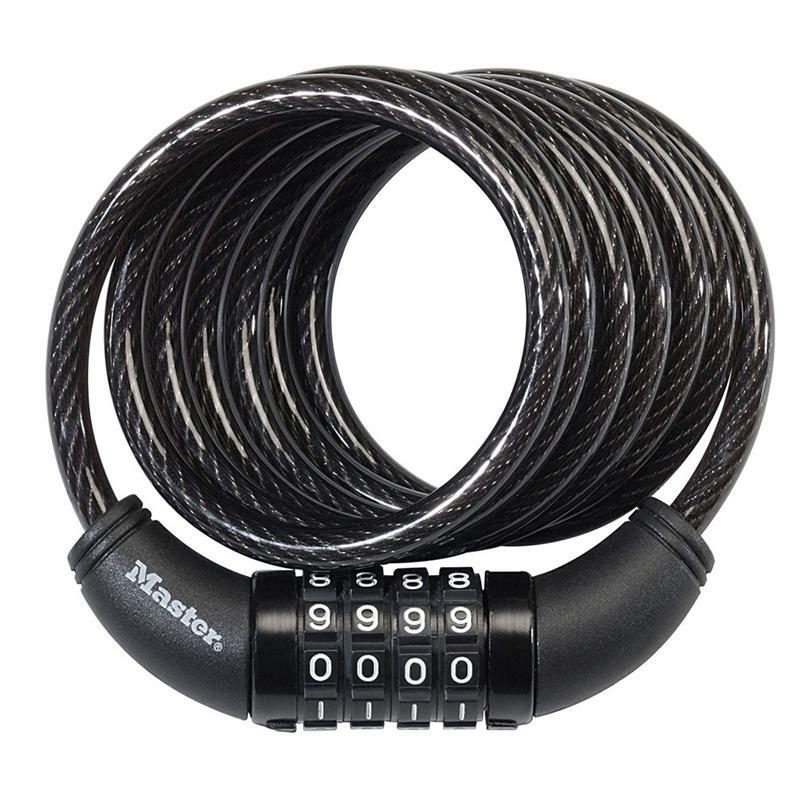 8114D Set Your Own Combination Cable Lock is 6ft long and features 5/16in diameter braided steel for maximum strength and flexibility. The protective vinyl coating protects against scratches. The 4 dial combination security offers keyless convenience. The Limited Lifetime Warranty provides peace of mind from a brand you can trust.